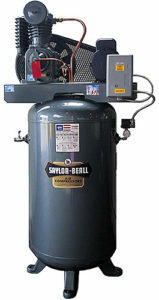 Saylor-Beall manufactures two stage air compressors. They provide industrial quality products made in the USA. Saylor-Beall has developed better materials, designs and manufacturing processes; resulting in an outstanding line of quality air compressors.